With multiple bright color schemes JAM Audio Hang Around waterproof Bluetooth speaker may be nice companion for every young people who loves music. Like the idea? Let’s keep checking. The Hang Around is a beautifully designed Bluetooth speaker that measures 4.7 x 2.6 x 8.5 inches and weighs 1 pound. As shown in the images, the speaker features a sleek and minimal appearance design, and four vivid color schemes ensure it meets more personal preferences. 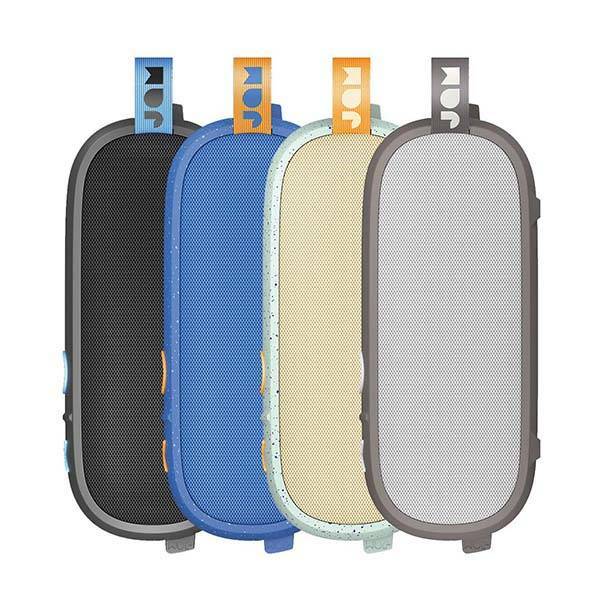 Meanwhile, the compact form factor allows you to easily take it with you anywhere, and the fabric loop lets you easily attach the speaker onto your backpack for easy carrying during any outdoor activity. The portable Bluetooth speaker comes equipped with dual speaker drivers and dual passive bass radiators in order to produce high-quality balanced stereo audio that can fill any room, and you can pair two Hang Around units for more realistic stereo audio. Using built-in microphone, you can answer or make handsfree calls with ease. 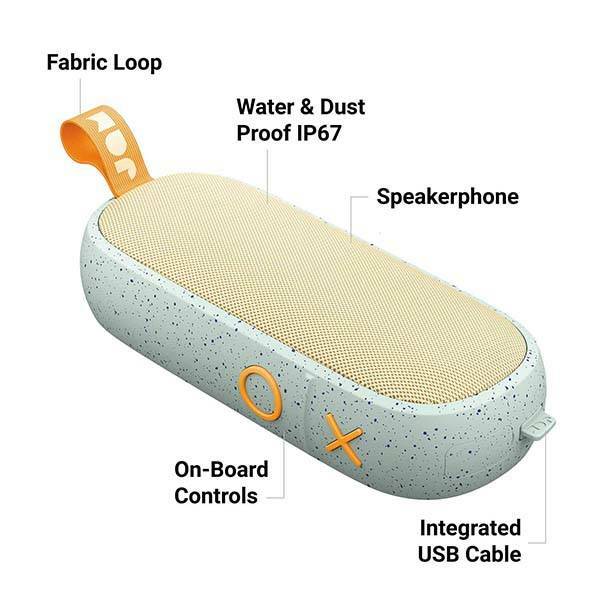 Furthermore, the wireless speaker is IP67 waterproof and dust rated, which means it’s dirt-proof and submersible in water up to 1 meter for 30 minute. In addition to Bluetooth connectivity, the Hang Around also has an extra 3.5mm input for any music player with 3.5mm audio jack. 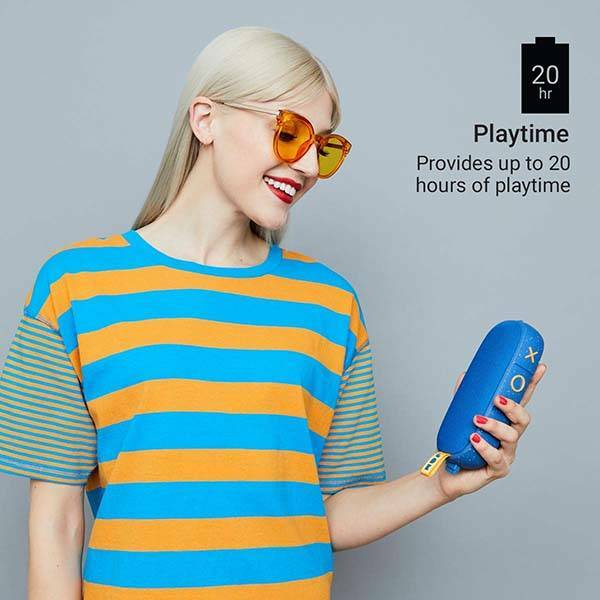 Its rechargeable battery offers up to 20 hours of playtime between charges, and integrated USB cable charges it with ease. The Hang Around waterproof Bluetooth speaker is priced at $39.99 USD. If you’re interested, jump to the product page for its more details.